It is identified: allergic and non-allergic forms of asthma, each of which has distinctive features. When there is an allergic and non-allergic component, a mixed form of asthma is diagnosed. The most commonly used is the classification of bronchial asthma in terms of severity. It is used for the selection of asthma treatment all over the world. The difference of PSV or FEV1 is <20%. A difference of PSV or FEV1 is 20-30%. A difference is between PSV and FEV1> 30%. A difference between is PSV or FEV1> 30%. A degree of severity and degree of an exacerbation are not the same! Patients with any degree of severity of asthma can have mild, moderate or severe exacerbations. In some patients with mild asthma, severe and life-threatening exacerbations are observed, while without exacerbation they have long asymptomatic periods with normal pulmonary function. The severity of asthma in patients receiving treatment is assessed based on the amount of therapy necessary to control the symptoms and exacerbations (dose and amount of drugs). The severity of asthma in patients amitting treatment is assessed on the basis of the amount of therapy (dose and quantity of drugs) required to control symptoms and exacerbations. Shortening – episodes of increasing dyspnea, coughing, wheezing or the chest pain, or a combination of these symptoms. Important: the presence of symptoms in patients with asthma may be the disease’s manifestation, rather than exacerbation. If the patient has additional (in excess of existing) demand for short-acting bronchodilators (for example, Beroduale) added to the existing symptoms, the number of day and night symptoms increases, there is severe shortness of breath, is asthma exacerbation, which also needs to be classified according to the degree of severity. Remission is a complete absence of symptoms on the background of the withdrawal of the basic anti-inflammatory therapy. It should be noted that in children in the period of puberty, spontaneous remission of the disease often occurs. Control is the absence of disease manifestations when using a suitable basic anti-inflammatory therapy. Achieving control is the main goal of asthma treatment! We will try to learn this aspect within these two weeks. t is especially interesting how to define whether it is an exacerbation or an actual attack. Can we define it ourselves or need to visit a doctor? Yes, you can determine yourself at home using a peakflowmeter, but this method is available from the age of 5. If I have a feeling of nasal congestion, a little wheezing and coughing at night and I’m helped by Singulair or go out into the fresh air, is it already asthma exactly? 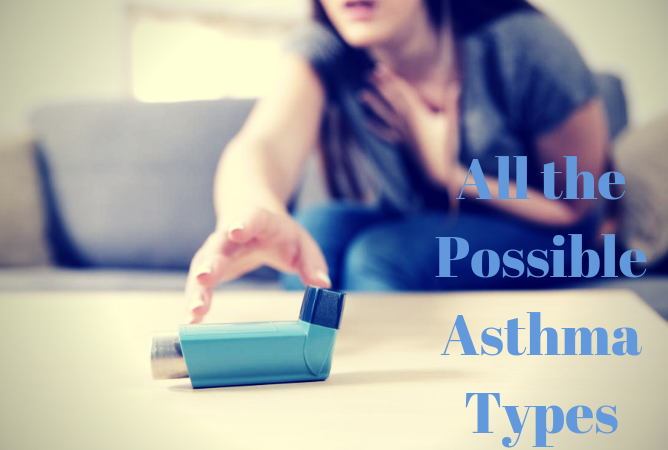 If this occurs when you are not ill with ARVI, the likelihood of asthma exists.